The Light Façade is a mesh of vertical and horizontal aluminium profiles, connected and anchored to the building structure and ready to be filled in the end with light enclosure panels until thus forming a continuous surface that is light and perfectly delimits the interior space with respect to the outside of the building. 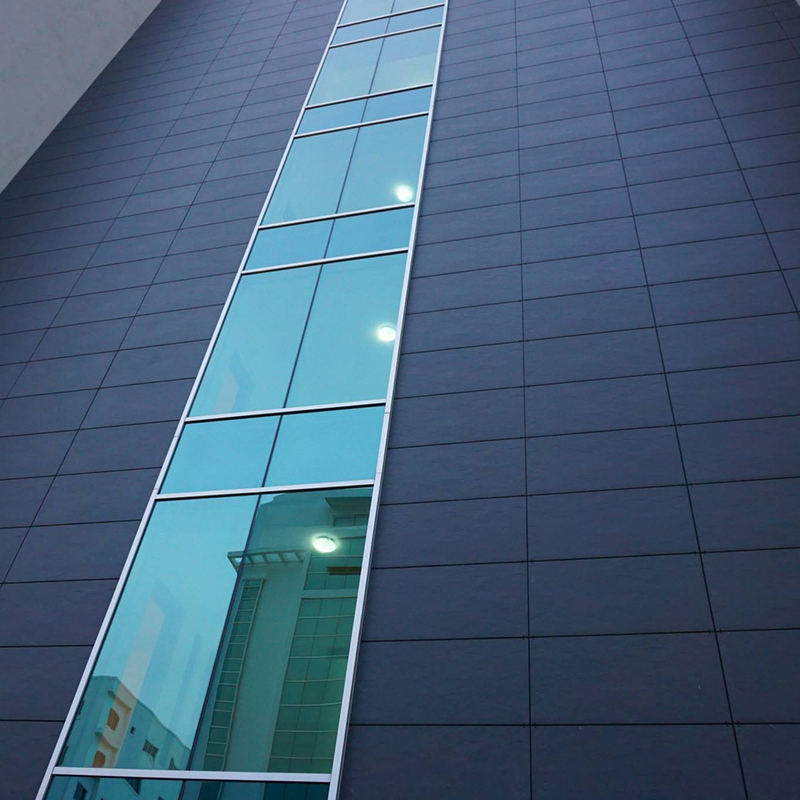 Hinged features may be integrated into any type of opening, making it possible to create a temporary open space on the façade to create ventilation in the building, perform façade maintenance, etc. Similarly, these hinged features may also contribute to safety in the event of needing to flush out smoke and to provide access in an emergency.